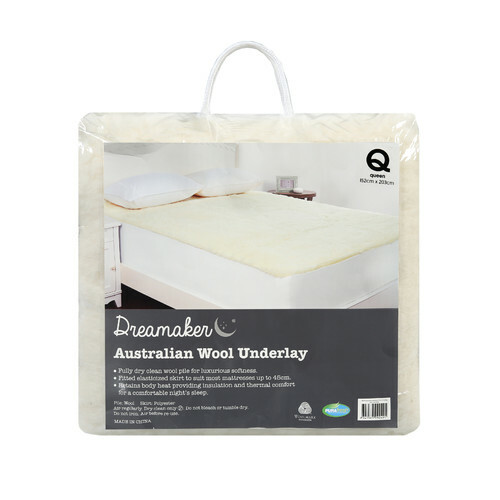 The Dreamaker Australian Wool Underlay is made with wool pile for luxurious softness and a fitted eleasticised skirt to suit most mattresses up to 45cm. 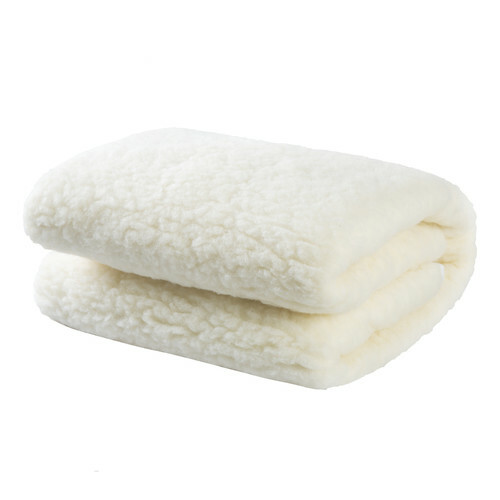 This underlay retains body heat providing insulation and thermal comfort for a comfortable night's sleep. When you buy a Australian Wool Underlay 300 GSM online from Temple & Webster in Australia, we make it as easy as possible for you to find out when your product will be delivered to your home in Melbourne, Sydney or any major city. You can check on a delivery estimate for the Dreamaker Part #: 9009 here. 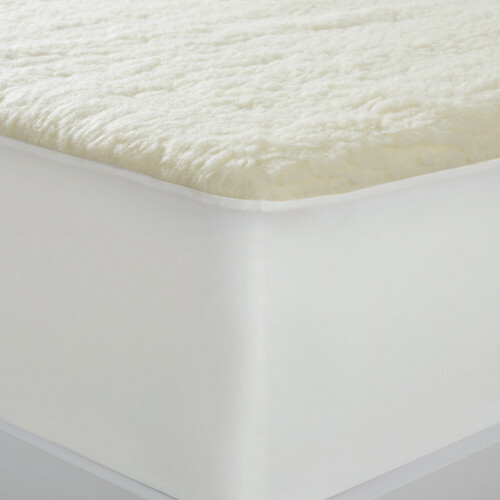 If you have any questions about your purchase or any other Mattress Toppers, Pads, Underlays product for sale our customer service representatives are available to help.Whether you just want to buy a Australian Wool Underlay 300 GSM or shop for your entire home, Temple & Webster has a zillion things home. Very happy with this product and value for money. Super soft underlay that perfectly matched the description. Quality appears to be very good and delivery was fast. Nice and thick,soft and warm ...... as you would expect from 300 gsm of wool fibre.